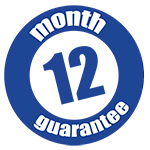 We are so confident in the workmanship and quality provided that we offer a 12 month guarantee on all finishes. Stuck at work or in a rush and can't get down to us or just simply are looking around at prices at the moment? Save yourself time, stress and money and receive an obligation free estimate from Alloy Art Wheel Repair today via our online quote form. To enable us to give you a more accurate costing we recommend that you use our image upload fields. Just snap the images of your damaged rims and send them through to us. We make the process of getting your repairs completed quick and easy. To get a quote now simply hit the button below! Alloy Art is a locally owned and operated business. As a family run business we care about the quality of our work and take great pride in it. We are always investing in the latest technology so we can provide our customers with the highest possible service. Our fully trained wheel techs have years of experience in the business guaranteeing a full professional service from start to finish so you can rest assured that your wheels are in safe hands. At Alloy Art Repair Centre we are proud to provide high quality service at fantastic prices. "Alloy Art are a superb company, ideally suited to the classic car environment. Although they deal with the large main dealers they are also small enough to offer a genuine and sympathetic service to individual customers"
"The finish on the wheels is always great and right first time"
A collection and delivery service is available. This is free to local areas please call for details.